Jax is no ordinary high-school girl. She’s a witch with a powerful darkness inside her. After fleeing from her coven she finds herself in the mountains of North Carolina where she can hopefully live a peaceful life. But Jax knows more than anyone what the coven will do to someone who leaves. As she attends school she makes a couple of friends and actually starts dating. But things are never that simple especially when her boyfriend, Keller, comes from a family of supernatural hunters. Keller and his father have dedicated their lives to killing her kind, and she is struggling to keep her burgeoning powers under control. The darkness inside her is starting to assert more control and Jax travels to Salem in search of answers. She desperately needs to find the Bane, a shadowy group of witches who might just hold the secrets to containing her powers. But they are elusive and she’s not sure what kind of welcome she will get from them even if she does find them. While she hunts for answers, somebody is hunting her. A supernatural hunter who is seen as a zealot even by other supernatural hunters. And her coven is suspiciously quiet which can only mean storm clouds are on the horizon. 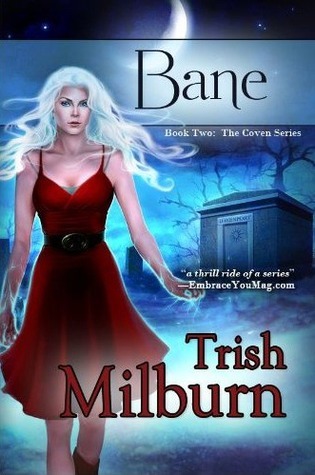 The Coven Series is Young Adult Urban Fantasy at its absolute best. It does everything I expect from books in this genre and does it superbly. The series is great fun and completely addictive. 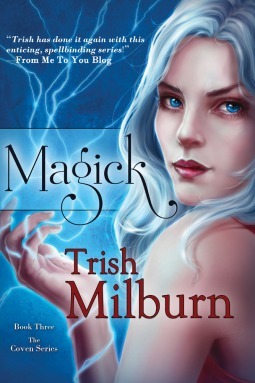 The best urban fantasy I’ve read since Carolyn Crane’s The Disilluionists trilogy. 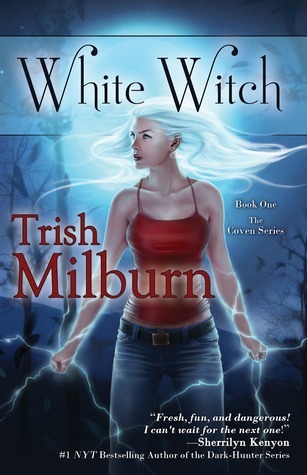 This entry was posted in Uncategorized and tagged bane, coven, magick, paranormal romance, trish milburn, urban fantasy, white witch, witch, young adult by setaian. Bookmark the permalink.